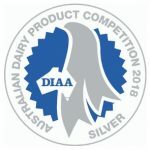 Award-winning Olympus Halloumi cheese is a mild, delicious, firm cheese, that holds its shape well when grilled and yet remains ‘squeaky’ soft on the inside. 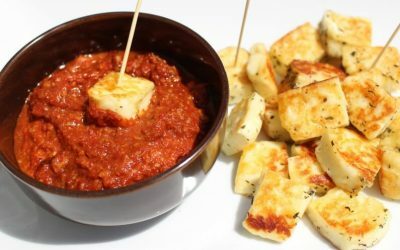 We make our signature halloumi to a traditional Cypriot method. 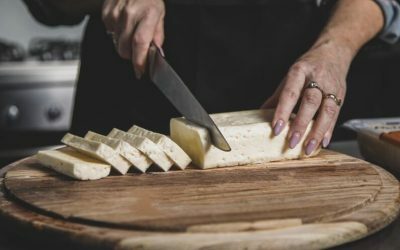 From pasteurised fresh cow’s milk, we create curds and whey using non-animal rennet and starter culture. The curd is drained and the whey put aside for making Olympus Ricotta. We press the curd into a cheese mould and then hand cut it into rectangular portions and heat it. lt’s then hand-sprinkled with mint, folded by hand and placed in a light brine for 24 hours before packaging in either brine or small vacuum-packed portions. 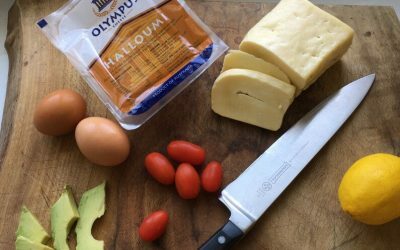 Olympus Halloumi is a lower salt product that is ready to serve and ideal for salads. Alternatively, slice it into 5mm slices and pan fry in a non-stick pan or grill until it’s golden-brown. 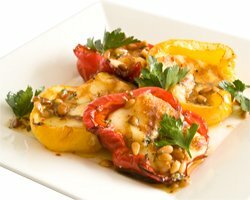 Serve immediately with salad or vegetables. Why not enjoy Olympus Halloumi the Cypriot way by cubing it and mixing it with fresh watermelon in summer? 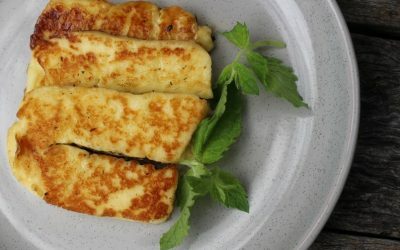 Halloumi is a very versatile cheese, mainly because it does not melt and is ideal for breakfasts and barbecues. 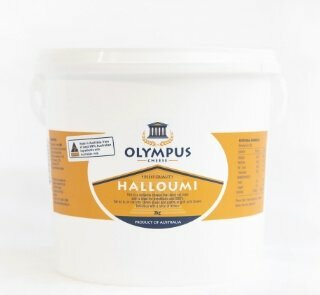 Olympus Halloumi contains pasteurised cows milk, starter culture, non-animal rennet, salt and mint. 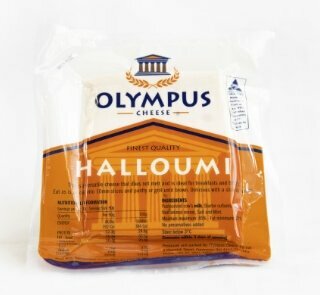 Olympus Halloumi cheese contains no preservatives. Halloumi sold in brine has a shelf life of up to 12 months, if stored below 3degC. Vacuum-packed Olympus Halloumi portions have a shelf life of approximately nine months, should be consumed within three days of opening and must be stored below 3degC. Halloumi is most often grilled or fried, but can you bake halloumi without it melting? You certainly can! 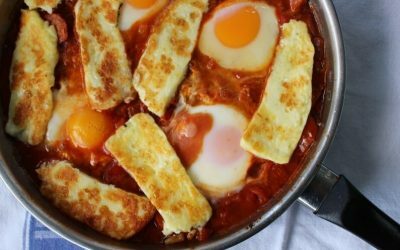 We give you some delicious baked halloumi ideas. What Goes Well With Halloumi Cheese? We tell you what goes well with halloumi cheese so you never run out of reasons to include your favourite cheese in your dishes. 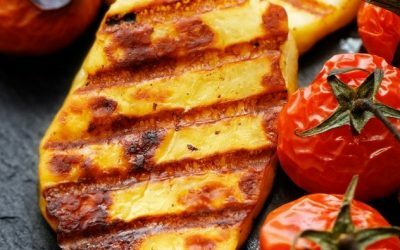 Halloumi is low carb, high protein and very versatile. 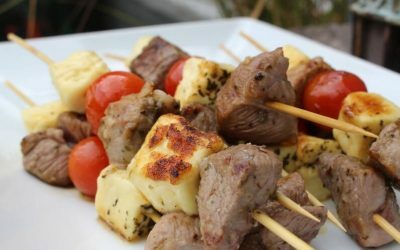 We look at 5 halloumi cheese keto meal ideas for those on a low carb or keto diet. 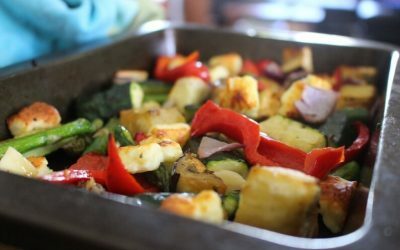 Want to find some new ways to incorporate halloumi into your Christmas lunch? We have rounded up 3 great recipes perfect for the Christmas table. Spring and summer is all about the salad! 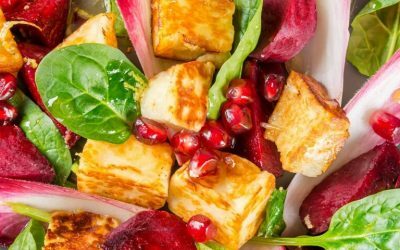 We give you 5 great halloumi salad ideas which give you a great excuse to use your Olympus Halloumi. 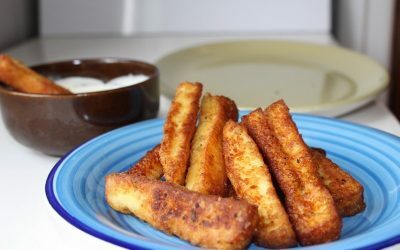 Want to know how to fry halloumi cheese to perfection? 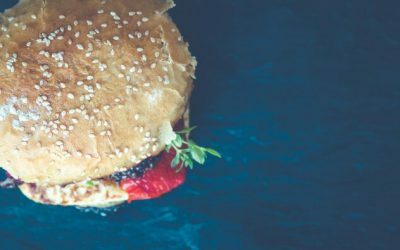 We show you how to cook it, how to serve it, and the squeak on why it’s a cheese-lovers’ favourite.